It can be hard to tell which dental treatment is right for you—not every concern is easily diagnosable by the average person (in fact, most are not). And sometimes you arrive at the dentist to discover one treatment is not enough to achieve your desired outcome. If you have two or more conditions you would like to address, full mouth reconstruction may be right for you. 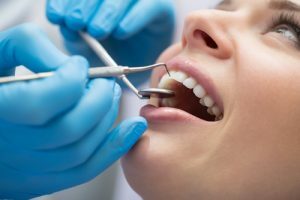 While the name can make the procedure sound like a major overhaul, in many cases it simply means combining two or more techniques to optimize the health, function, and beauty of an individual’s oral structures. Full mouth reconstruction can be as uncomplicated as repairing cavities and treating minor gum disease. The treatment plan can also be more complex, involving dental implants, oral surgery, and orthodontics. Each procedure is customised to suit the needs and goals of the patient, and we will walk you through every stage of the plan so you can feel as comfortable and confident about the process as possible. Our extensively trained dentists are experienced in a wide array of advanced techniques, and we will never push you to accept a treatment you do not need. What we can do is help you identify which approaches will restore your smile and offer improved oral health. Our team is friendly, knowledgeable, and happy to offer pressure-free advice about your smile. Let’s talk.